As your Boston car accident lawyer can explain, insurance companies will often engage in substantial litigation to avoid paying claims. The victim’s mother owned the car. The driver of the car was the sole person liable for the single-car crash. The mother/vehicle owner had an insurance policy with limits of $500,000 for the total accident. There was also an Uninsured Motorist (UM) and Underinsured Motorist (UIM) coverage rider with $500,000 limits. 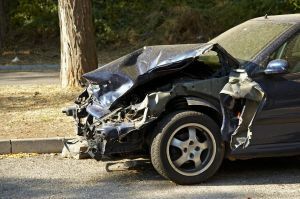 The terms UM and UIM are used to indicate a driver who causes an accident who is either uninsured entirely, or has insurance, but is not enough to compensate victims for their losses. It is very common for people to purchase the lowest legal limit and then cause substantially more in damages than their policy covers. The UM policy can also be applied in the case of a hit-and-run driver. If a driver causes an accident and then flees the scene, it may be impossible to find out the identity of the driver and the name of his or her insurance carrier, even if they did actually have liability coverage on the car. In these cases, may be necessary to file a lawsuit against a “John Doe” driver in the case of an unidentified hit-and-run driver and attempt to collect from the UM/UIM coverage of the victim’s car accident insurance policy. In Massachusetts, the bare minimum legal limits required by statute are $20,000 per individual personal injury, $40,000 total personal injury per accident and $5,000 in property damages to others. For example, if you were in a car accident and two people in your car were injured, there would be two personal injuries from a single accident. If one person had $50,000 in damages and the other had a total of $6,000 in damages, with the legal minimums, the most the person with more serious injuries could get would be $20,000. The most the other person could get would $6,000. The more injured party cannot get more than $20,000 under the policy limit, regardless of what the injured passenger may or may not receive. If the victim was driving a $40,000 car, and the at-fault driver had the legal minimums, the most the victim could get on an insurance payout would be $5,000. This is not to say that you could not recover more than the policy limit from the defendant driver, but it may be difficult to find a person with a great deal of personal assets who has the state minimum insurance. Ultimately, the court allowed the primary car insurance company to avoid payment under a rule of the UIM policy, because the victim was also a driver of the car.